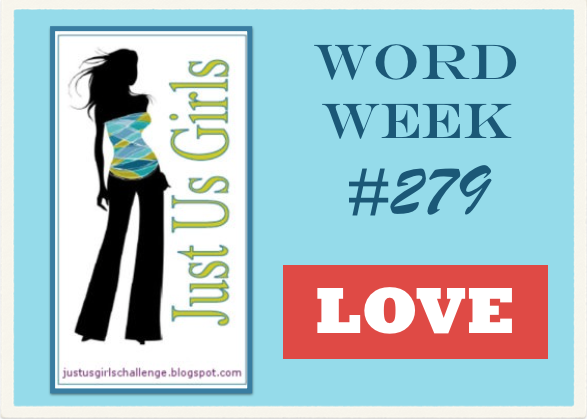 Hello Friend, It’s February and Cheryl has the perfect word for you this week over at Just Us Girls. Yes the word is LOVE! This can be interpreted in a variety of different cards and or projects so don’t think you have to make a valentine like I did. Yours just needs to represent LOVE in one way or another. I think I am the only one on the DT that didn’t put the word LOVE directly on my card, however I have done that in my last two posts and I think you have seen enough of that word for a week at least…wink wink! The embossing folder is SU and the sentiment and arrow is from recollections …I do believe. I am also entering this over at the Muse Challenge where my buddy Vicki is the star Muse. She is so versatile…she tries everything! Isn’t her card so cool? Love the hearts & arrows … great background too … so excited to be joining you for February. What a great take on Vicki’s card! I just love it! Hope you get to spend some time with your son! Oh! Oh! Oh! You joined in at Muse too! How SUPER fun is that! I really like that embossing folder — wonderful card and THANKS for joining in over at Muse! I love how you did your Valentine too. Very beautiful and awesome colors as well. Great Valentine card! Love it. Beautifully executed! 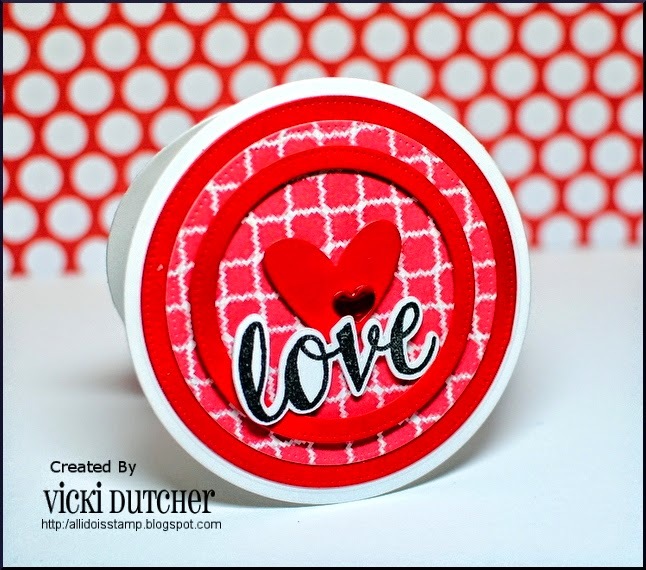 LOVE The heart embossed red background! Very pretty card! I just ordered that heart folder cause it’s so stinkin’ pretty! Enjoy your boy! Love that SU embossing folder – seems to be everywhere of late. Fabulous background for all those gorgeous hearts. Love the cutout idea and sentiment behind it. Very pretty and fun card! I love the heart embossing background! I love the way you’ve interpreted the Muse! The texture adds a lot of interest! So glad you joined us at Muse this week, Nancy! 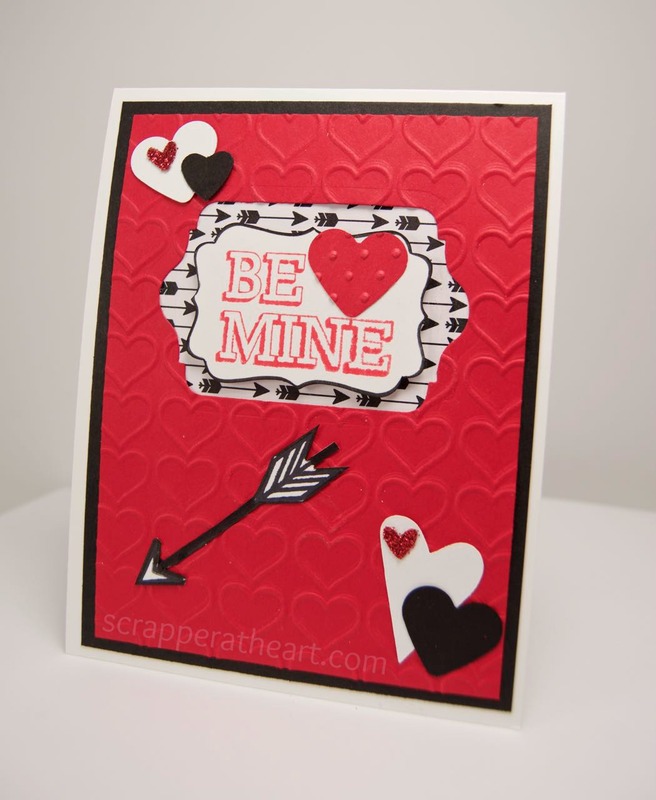 LOVE the embossed BG and the arrow paper is FAB! A Perfect Valentine card, Nancy! Great V-Day’s card! Love how you used that embossing folder! Love those heart and arrows! Great design, too. So pretty with the texture from all the embossing.